Why Silicone Coatings from Dow? In one word: reliability. The versatility of silicone chemistry expands design freedom, increases processing options, broadens performance parameters and introduces unique options for sustainability. Compared specifically to organic-based coatings, silicone solutions offer several valuable benefits. Silicones perform reliably at sustained temperatures as low as -45°C and as high as 150°C – a far broader range than organic coatings, which degrade at such extreme temperatures. Many silicones can even withstand brief exposure to temperatures up to 250°C. 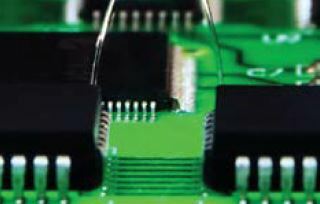 Silicone conformal coatings offer an extraordinarily broad range of hardness, as well as extremely low-modulus options. That means they deliver better stressrelief on delicate board components during thermal cycling. Silicones are nearly all solventless, making them the material of choice where emerging regulations impose complex and costly special requirements for handling and processing. 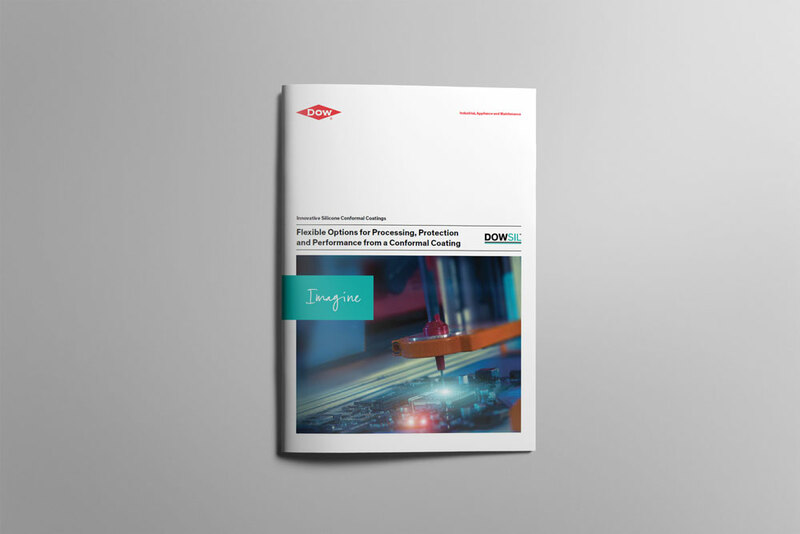 DOWSIL™ conformal coatings come in a range of viscosities to help you meet all of your processing and application demands. 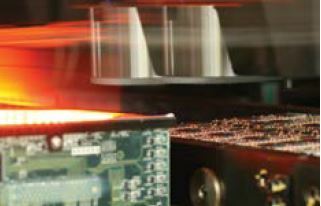 Our low-viscosity silicone coatings support high-speed production methods, including manual or automated spraying, flow or jetting techniques. These faster-flowing materials also are suitable options when you want your coating to flow through vias or under chips. 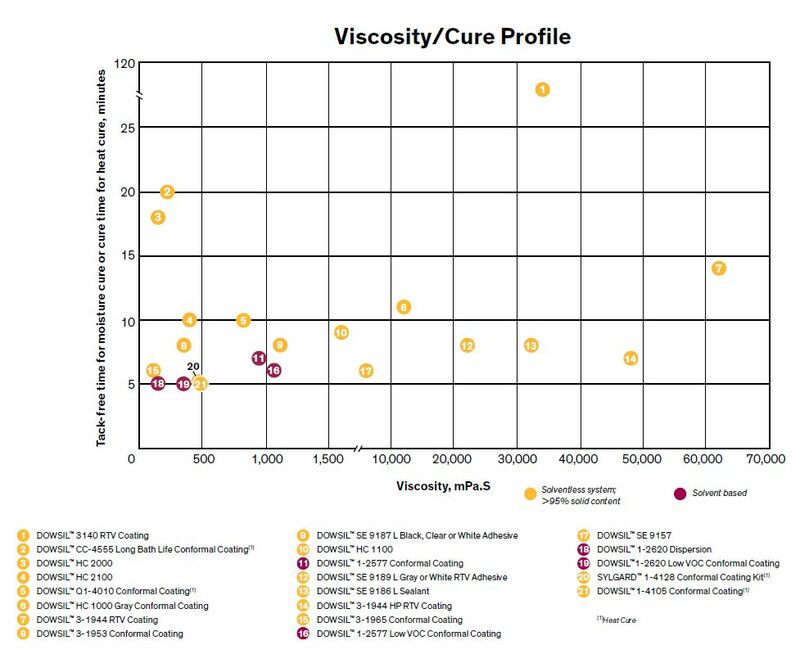 Offering incrementally higher viscosities, this category of silicone coatings provides increasing control over the speed and distance of flow to prevent their spread into “no-go” areas. Higher-viscosity silicones also enable thicker coating layers in one pass, and some grades even offer a stable coat on tall vertical surfaces. 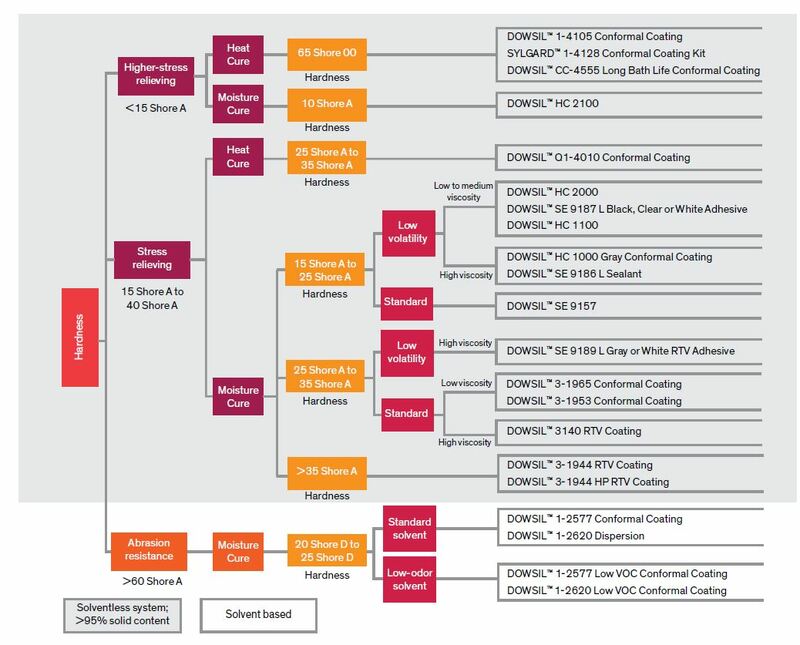 DOWSIL™ versatile silicones offer flexible cure profiles to allow you to select the optimal solution for your production line setup, volume or application. These coatings cure quickly at room temperature to provide a “dispense-and-forget” solution that is tack-free and ready to move down the production line in less than 10 minutes, making them the ideal option for high-volume assembly operations. Silicone coatings in this category also cure at room temperature but permit more time for the material to flow further over large or complex boards. They also are the preferred solution for applications that require a thicker coating. Sometimes labeled “command cure” for the control they allow over the rate of cure, coatings in this category are the material of choice when your processing operation demands full cure in under five minutes. They also may impose lower stress on board components during thermal cycling. 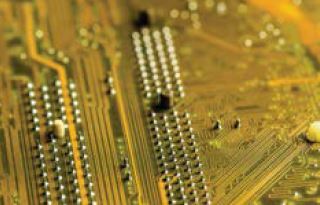 Silicones can deliver lower modulus than any organic conformal-coating material. This makes them ideal for minimizing stress on small, fine wires or sensitive solder joints. Yet silicone’s versatile chemistry enables hard coatings that exhibit abrasion resistance approaching acrylic or urethane solutions. 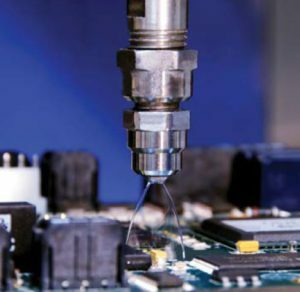 Regardless of what your application requires, Dow can provide a conformal coating with the right durometer to meet your demands. Our softest silicone coating materials maximize stress-relief on very fine wires or dense components that can be most susceptible to thermal cycling. The ideal alternative to brittle organic coatings, silicones in this category offer an optimal combination of stress relief and protection against harsher environmental elements, such as moisture, dust, vibration and impact. Silicones in this class cure to form hard, tough coatings comparable to acrylics – except silicones offer greater flexibility and perform reliably at much higher and lower temperatures. While Dow offers solvent-based elastoplastic coatings that mimic the hardness of acrylic, most of our silicone products are solventless. This is becoming an important selection criterion for coatings, as it impacts worker safety protocols, special equipment, handling and processing for flammable solvents and meeting environmental regulations. Choosing solventless silicone coatings can eliminate complexity, cost and time for your manufacturing operations. Tell us about your performance, design and manufacturing challenges. Let us put our silicon-based materials expertise, application knowledge and processing experience to work for you. For more information about Dow materials and capabilities, contact us.